We provided a full architectural service for this project in conjunction with our sister company, Acropolis Design, of Wakefield with whom we occasionally work alongside. As the existing farmhouse was listed, there was a particularly onerous planning application to overcome, particularly as there were contemporary elements to the proposed design. 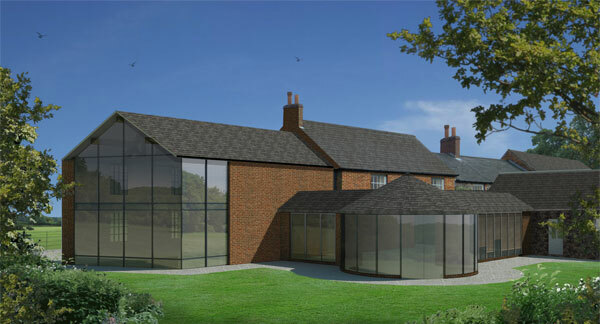 The extended element of the farmhouse features a two storey extension with a full-height structural glazed gable wall. Something which required a considerable amount of thought when we undertook the detailed construction drawing package. The views across the countryside from this corner of the property are very picturesque, and we feel that this is the show-piece of what will hopefully be a stunning completed project. Works are scheduled to be ongoing during 2011 & 2012.